kt literary » Blog Archive » RITA-nominated THE HEADMASTER released as a stand-alone! RITA-nominated THE HEADMASTER released as a stand-alone! 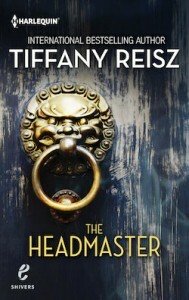 THE HEADMASTER by Tiffany Reisz was nominated for the prestigious RITA award for Best Contemporary Romance: Short. A huge round of congratulations to Tiffany for this honor! This week, THE HEADMASTER has been re-released in a special stand-alone edition! I promise not to give away any spoilers but if the hairs on the back of your neck don’t stand up at least twice while reading this story, I will personally eat my shoe. Really. Congratulations Tiffany and happy reading everyone! ← DON’T VOTE FOR ME gets Kirkus’ vote!